This seemingly basic remote might not look like much at first blush, but it can actually control eight of your favorite home theater devices, and even turn your smartphone into a universal remote as well. You’re probably used to seeing Logitech Harmony remotes with screens built-in, but it turns out that you already carry a much better screen in your pocket. 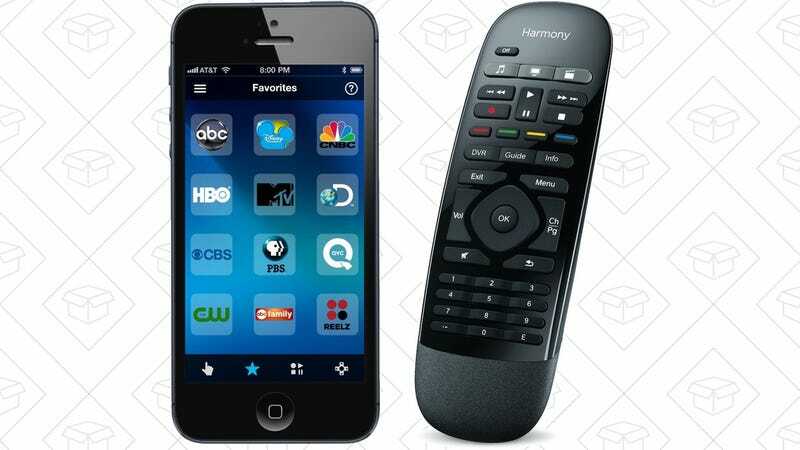 So in addition to controlling your TV, cable box, game console, stereo, and more from the remote itself, the Logitech Harmony Smart Control can now do the same from your iPhone or Android from anywhere in the house. That’s especially handy when your favorite show is about to start and you can’t find the remote anywhere. For comparison’s sake, this remote is currently selling for $24 more on Amazon, and frequently retails for over $100.